A vivid variation in a bold, almost architectural format, made in the desirable hot this moment color combination featuring orange and green. Feedsack prints of much variety form the central medallion. 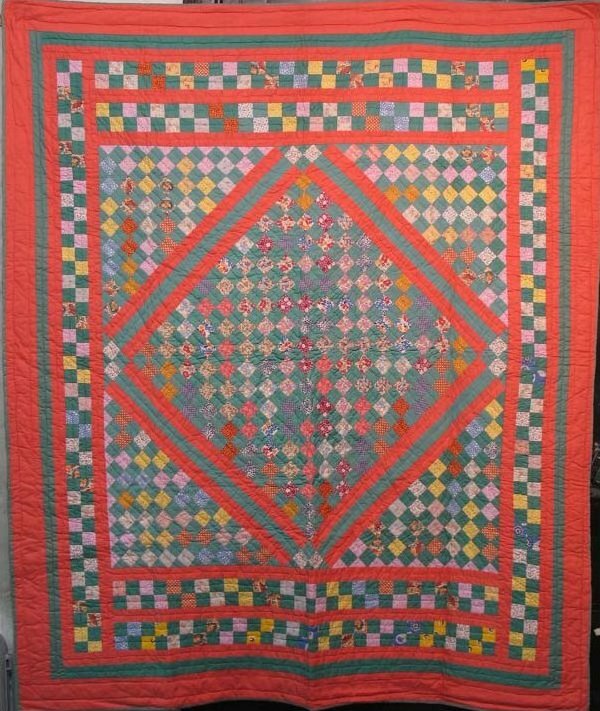 And the backing is dramatic too, a large center square that shows off the geometry of the quilting.